We are working hard to upload all publications between 1996 and the present, starting with the latest ones. Thank you for your patience. Agroecology and Sustainable Food Systems:1-23. DOI: 10.1080/21683565.2018.1530326. Origin of Pest Lineages of the Colorado Potato Beetle (Coleoptera: Chrysomelidae). Journal of Economic Entomology. DOI: 10.1093/jee/tox367. Invited book for the Advances in Agroecology Series. CRC Press/Taylor & Francis. New pathways to sustainability in agroecological systems. Elementa: science of the Anthropocene, Sustainability Transitions Domain [Open Access]. ARLG/LWR Research Brief #5. Agroecology and Rural Livelihoods Group (ARLG), University of Vermont & Lutheran World Relief (LWR). Research Report. Agroecology and Rural Livelihoods Group (ARLG), University of Vermont. Burlington, VT, U.S.A.
Agroecology and Rural Livelihoods Group (ARLG), University of Vermont & Lutheran World Relief (LWR). ARLG/LWR Research Brief #5. Agroecology and Rural Livelihoods Group (ARLG), University of Vermont & Lutheran World Relief (LWR). Informe de Investigación ARLG/LWR #5. Agroecology, food sovereignty and urban agriculture in the U.S. In V.E. Méndez, C.M. Bacon, R. Cohen & S.R. Gliessman (eds) Agroecology: a transdisciplinary, participatory and action-oriented approach. Advances in Agroecology Series. CRC Press/Taylor and Francis. pp. 325-346. In N. Benkeblia (Ed.) Agroecology, ecosystems, and sustainability. CRC Press/Taylor and Francis: Boca Raton, FL. Exlusion nettting for managing spotted wing Drosophila on berry farms in the Northeastern United States. ARLG Research Brief # 3. Agroecology and Rural Livelihoods Group (ARLG), University of Vermont: Burlington, VT.
Journal of Extension 53 (4): 4FEA2. ARLG Research Brief # 2. Agroecology and Rural Livelihoods Group (ARLG), University of Vermont: Burlington, VT.
Revisiting the “thin months”- a follow-up study on livelihoods of Mesoamerican coffee farmers. Policy Brief # 19. Centro Internacional de Agricultura Tropical (CIAT): Cali Colombia. Policy Brief # 19. Centro Internacional de Agricultura Tropical (CIAT) & Agroecology and Livelihoods Group (ARLG): Cali, Colombia. Climate change resilience on Vermont farms: a research report for service providers. ARLG Research Brief # 2. Monográfico Invitado [Invited Special Issue]. Translated and re-edited Open Access version of the Special Issue published in Agroecology and Sustainable Systems 37 (1), 2013. Agroecología [Spain] 8(2). Read Here. Invited Special Inaugural Issue of Agroecology and Sustainable Food Systems 37(1) (formerly Journal of Sustainable Agriculture; IF: 0.673; R: 23 of 57 in Agriculture, Multidisciplinary). Read Here. Food Sovereignty: A critical dialogue. International Conference at Yale University. September 14-15. Agroecology as a transdisciplinary, participatory, and action-oriented approach. [v1; ref status: indexed, http://f1000r.es/23s]. F1000Research 2013, 2: 235. Food security and smallholder coffee production: current issues and future directions. ARLG Policy Brief # 1. Agroecology and Rural Livelihoods Group (ARLG), University of Vermont: Burlington, VT.
Policy Brief. Salvadoran Research Program on Development and Environment (PRISMA): San Salvador, El Salvador. Invited Article for a Special Focus Section on Geographic Contributions to Agrobiodiversity Research. Professional Geographer 62(3):357-376 (IF: 1.206; R: 28 of 73 in Geography; TC: 8). Agricultural Systems 103:327-341 (IF: 2.899; R: 2 of 57 in Agriculture, Multidisciplinary; TC: 12). Selected for a Special Issue on Agroforestry for Ecosystem Services and Environmental Benefits. Agroforestry Systems 76 (1):111-126 (IF: 1.378; R: 31 of 79 in Agronomy; TC: 11). Globalizations 5 (2): 259-274 (IF: 0.468; R: 56 of 89 in Social Sciences, Interdisciplinary; TC: 42). Food, Health and the Environment Series. MIT Press: Cambridge, MA, USA. Center Research Brief # 12. 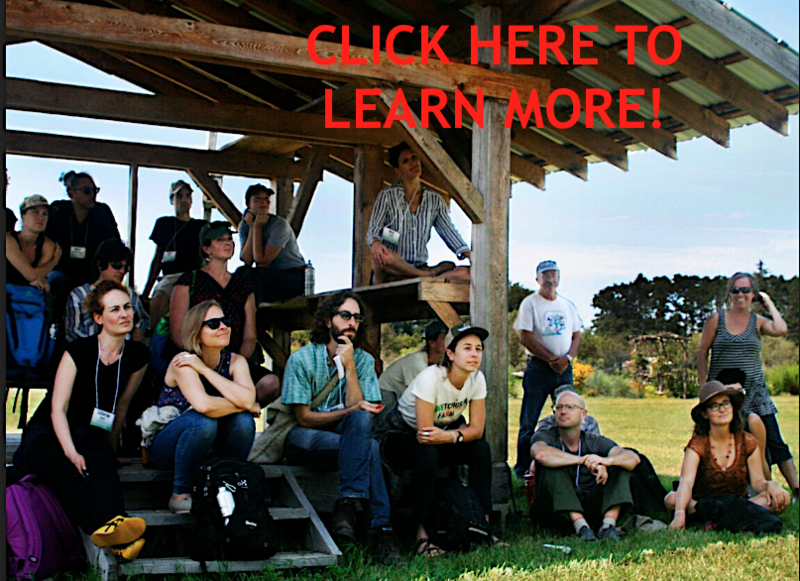 Center for Agroecology and Sustainable Food Systems. University of California: Santa Cruz, CA, USA. Agriculture, Ecosystems and Environment 119(1-2):145-159 (IF: 3.004; R: 1 of 57 in Agriculture, Multidisciplinary; TC: 35). Ecosistemas (Spain) 16(1): 13-28 (TC:18). Ecological processes and farmer livelihoods in shaded coffee production. Invited Article. LEISA (The Netherlands) 22(4): 22-23. Research Report. Oxfam America: Boston, MA. LEISA Revista de Agroecología (Peru) 20(4): 27-30. PRISMA: San Salvador, El Salvador. l’ Ecologiste (French edition of the Ecologist) 5 (3):27-29. FAO/MAG: San Salvador, El Salvador. Manejo Integrado de Plagas y Agroecología (Costa Rica) 64: 5-16 (TC: 30). Case Study for the Project on “Poverty Alleviation Through Participation in Fair Trade Networks”. Colorado State University/Ford Foundation: Ft. Collins, CO, USA. Available on-line: colostate.edu/Depts/Sociology/FairTradeResearchGroup/. Estudio de Caso para El Proyecto “Pago por Servicios Ambientales en las Américas” PRISMA/Fundacion FORD: San Salvador, El Salvador. Agroforestry Systems 51(2): 85-96 (IF: 1.378; R: 31 of 79 in Agronomy; TC: 92). Agroforestería en las Américas (Costa Rica) 6(21): 17-19. Revista Forestal Centroamericana (Costa Rica) 28: 32-36. Analisis agroecologico de huertos caseros tradicionales en Nicaragua (Agroecological analysis of traditional homegardens in Nicaragua).